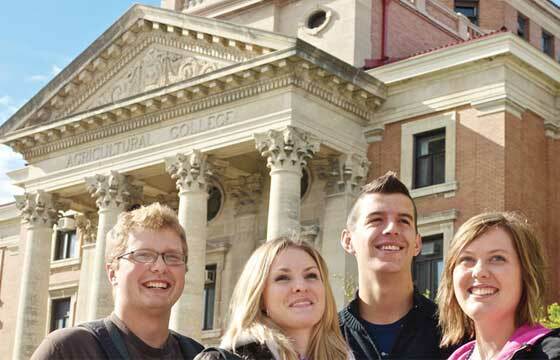 ICM offers a pathway to an undergraduate degree at the University of Manitoba. The UTPII programs are the equivalent to the first year of the University's Bachelor Degree. Upon successful completion of UTPII, students transfer into the second year of their degree at the University of Manitoba. * We offer undergraduate programs in Arts, Business, Engineering, and Science. * To progress to the second year at the University of Manitoba you must successfully complete 30 credit hours of advanced standing, meet the required GPA and satisfy the relevant entry requirements. An opportunity to earn a degree from one of Canada's best universities and Top 400 in the world! As an ICM student, you will have access to a range of accommodation options to find which one best suits your needs. These include on-campus accommodation, off-campus accommodation and homestay. Students under 18 years of age must be in homestay accommodation. You can choose to live in traditional undergraduate housing or on special-interest floors with students who have similar interests. ICM offers two scholarships per term (i.e. : six per year) to the top two students based on their academic performance at ICM.